To say that the automotive industry is quality-conscious is an understatement. For manufacturers in the automotive supply chain, achieving and maintaining ISO 9001 certification—which sets forth the requirements for a quality management system—is a prerequisite to doing business. United Plastics, located in Mt. Airy, is one of those manufacturers. 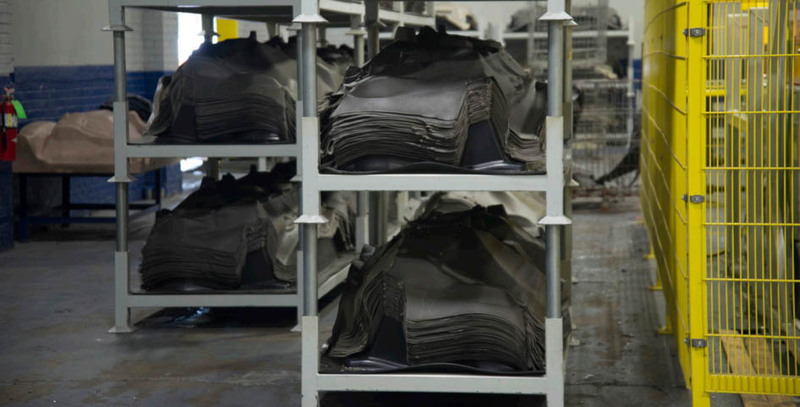 The company’s 70 employees provide acoustical materials to Tier 1 suppliers in the automotive industry, using a unique separation process which enables them to recycle and reuse scrap vinyl, creating high-quality parts from materials that otherwise might have ended up in a landfill. United Plastics achieved ISO 9001 certification in 2008. “Having ISO certification has allowed us to sell to more sophisticated automotive partners,” says CEO John Thomas. But by 2015, the company’s ISO certification was feeling rusty; after a recent restructure it became apparent that the old work instructions and instructional aides were no longer sufficient to train new employees in company procedure. “Without doing revisions we were jeopardizing our ISO certification, which also meant that we would be jeopardizing our automotive customer ISO requirement,” says Stanton Sanders, Quality Manager at United Plastics. Sanders engaged an NC State Industry Expansion Solutions (IES) improvement specialist to come onsite and give an overview of the new ISO standard. During the overview, Sanders says, it became apparent that during United Plastics’ recent period of change and growth, the company’s focus on ISO had relaxed. annual cost savings of approximately $100,000, attributed to a reduction in waste and rework. According to Sanders, United Plastics has also seen an increase in overall material and equipment efficiency. “Not only did we see a reduction in out-ofpocket costs, but we increased the available capacity of our existing equipment,” he says. Over the past year, United Plastics has invested more than $1 million in new equipment as well as upgrades to old equipment, but Sanders expects the investments to pay off in lower costs and increased business opportunities with current and future customers. With its ISO certification in hand, United Plastics is well equipped to pursue that ambition.